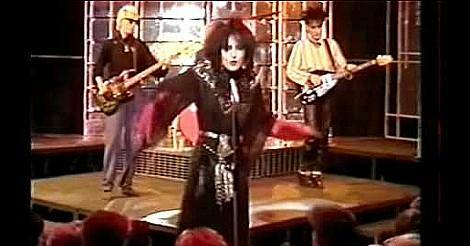 In this video clip, the band are performing on Top Of The Pops, with Robert Smith on guitar. Smith left the band in May 1984 (apparantly due to health reasons) but during 1983 was working on a side project called The Glove, with Siouxsie member Steven Severin. During the same year, Siouxsie Sioux and the band's drummer, Budgie, were also involved in a side project called The Creatures. 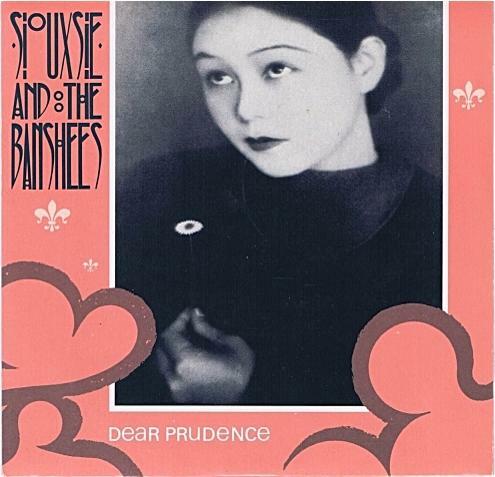 "Dear Prudence" was a quality cover of the Beatles song (originally featuring on The Beatles self-titled album from 1968 and written by Lennon-McCartney) and gave Siouxsie & The Banshees their highest-charting single, reaching #3 in the UK in 1983. The single entered the charts at No.17 on 25th Sept. It climbed to No.4 the following week, and then to No.3 on 9th October, with Tracey Ullman's "They Don't Know" at No.2 and Culture Club at No.1 with "Karma Chameleon". "Dear Prudence" was a non-album single, but helped to push the post-punk, gothic rock band back into the limelight after the previous double-A side Melt!/Il Est Ne Le Divin Enfant had failed to reach the Top 40, peaking at #49. The gothic rock/post-punk band was formed in 1976 by lead singer Siouxsie Sioux and bassist Steven Severen. However, the band's musical career was a bit of a rollercoaster ride. Between 1978 and 1995, 18 out of 29 British single releases made the Top 40, with many of the songs that didn't make it just stalling outside the Top 40. Overall, they released eleven studio albums. The band finally split-up in 1996, with lead singer Siouxsie Sioux and drummer Budgie continuing with their other band, The Creatures. 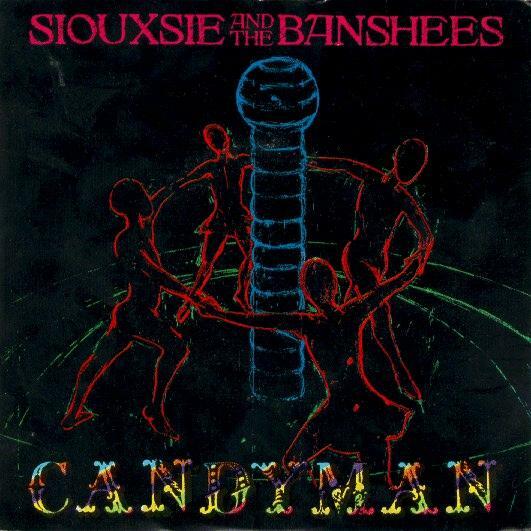 Candyman was released in March 1986 and reached #34 in the UK singles chart. The post-punk, guitar-driven track was Siouxsie & The Banshees thirteenth Top 40 hit and the second single to be released from the band's seventh studio album Tinderbox, the first single being Cities in Dust. The video clip features the band live on Channel 4 music show The Tube in 1986. This song was originally recorded in 1967 and released in June 1975 by Bob Dylan & The Band. It was written by Bob Dylan and band member Rick Danko. The Banshees cover was released on January 12th 1987 as the first of two singles from their eighth studio album Through The Looking Glass, and reached #14 in the UK. The album includes 10 cover versions of artists including Roxy Music, Iggy Pop, The Doors and even Kraftwerk, to name but a few.